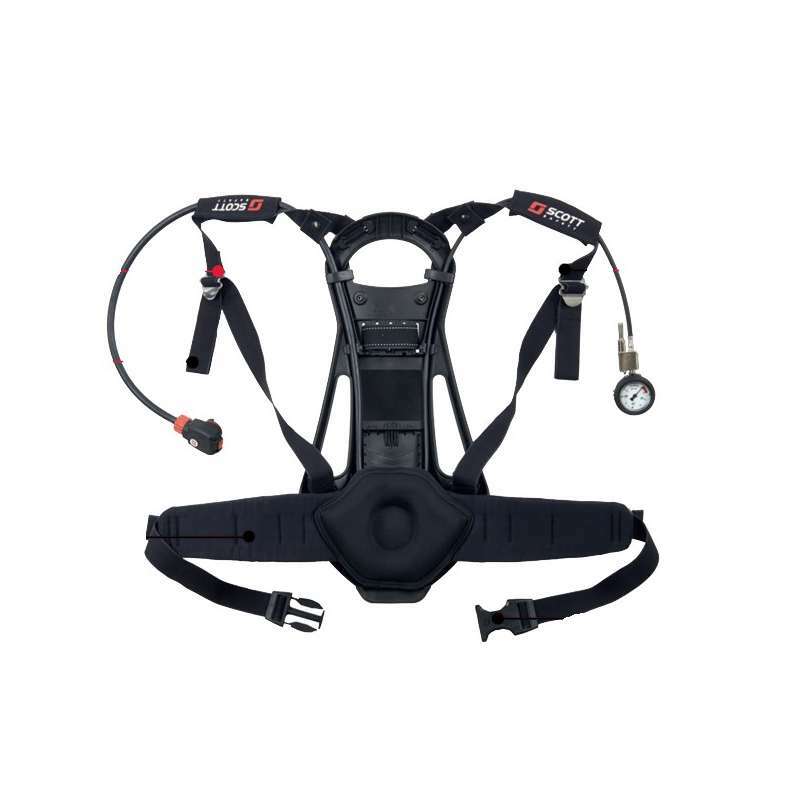 The Scott Safety ProPak-I is a self- contained breathing apparatus, which is a Type 2 open circuit SCBA that provides compressed air whenever needed in dangerous and demanding work environments. 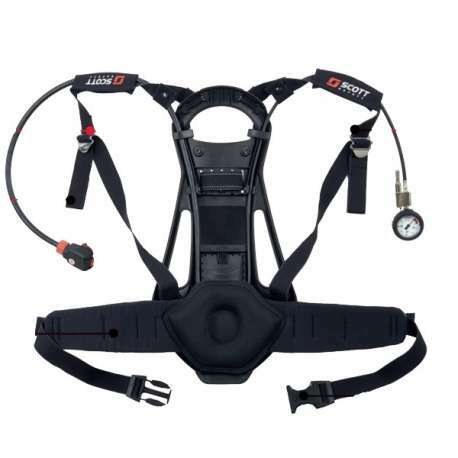 It is of sturdy construction and comfortable to wear, consisting of a carry harness, back plate and pneumatic system that contains a reducer, connector, pressure gauge, demand valve and whistle. The ProPak I features the Tempest demand valve, which is a positive- pressure demand valve unit that features a servo-assisted tilting diaphragm mechanism that provides low inspiratory resistance and positive dynamic pressure performance. This unit weighs 2.9 kgs (without the cylinder) and 3.50kgs with facemask, in single configuration. Its dimensions are 630mm x 285mm x 220mm. The ProPak I's cylinder valve is made from nickel- plated brass and the strap buckles from brass and stainless steel. The reducing valve is a first stage pressure reducing valve that features spring-loaded piston mechanism that is non- adjustable and an outlet supply that is protected by a pressure relief valve. As standard, it features automated first breath activation as well as hands-free bypass. Its components are made from injection- moulded polyamide and acetyl with rubber diaphragms and seals. The backplate is manufactured from Glass & carbon filled nylon composite material and the facemask from neoprene, Procomp or Silicone. The visor is made from Polycarbonate. The ProPak-IX has been designed to be used with a number of composite or steel cylinders, it can be used with single or dual cylinders and is compatible with either; Airline, Split Demand Valve Coupling AND Y Piece variants. Fully EN136:2006 Type 2 and AS1716 and MED compliant, this SCBA can be used with either the Vision AMS, Vision 3 or Promask PP facemasks.